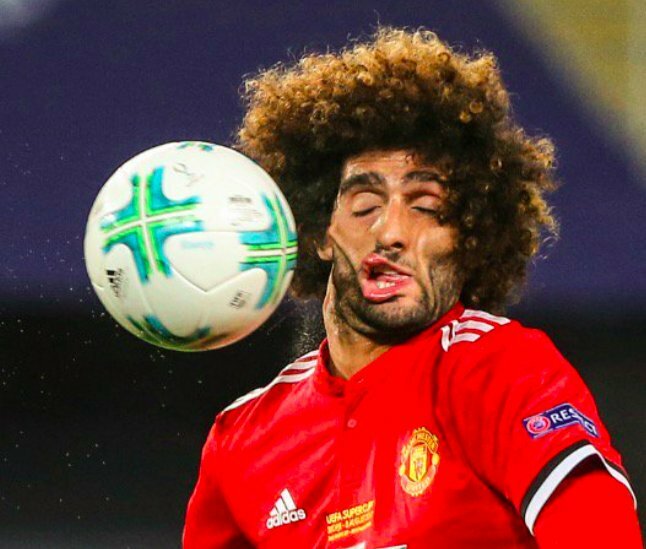 Maroune Fellaini is out of contract at Manchester United at the end of the season, and that means he is soon able to speak to non-Premier League clubs in January. Manchester United have reportedly offered an improved contract worth up to £150,000 a week in an attempt to extend his contract and keep him at Old Trafford. With interest supposedly being shown by PSG, Roma and unnamed Chinese clubs. Fellaini is seen as a key impact player for Jose Mourinho’s side, and it can be argued he has performed better with Mourinho in charge especially when he resorts to his standard plan B tactic of ‘lump it to the big man’. Listen to or read what Man United fans have to say about Fellaini and I get the impression a lot of them will be happy if he leaves, however from the contract offered he is still wanted, but only as an impact player, with Fellaini himself stating he wants more playing time. This has opened the door for Man United to lose him on a free when the transfer window opens, which isn’t ideal for any club; all one needs to do is see Arsenal for how not to deal with contract negotiations. It will be interesting to see what will be outcome come January. Will he be the next ‘big star’ making the move to China? If he does move to the Chinese Super League I think he is the type of player who would perform very well as long as he is able to adapt. If Fellaini stays or not, is he really the type of player to pay that kind of cash to; just to sit on the bench and maybe ‘make an impact’ when Man United need to find a goal and use him as a big lump up top. I would argue he isn’t and his money is better used for wages of a higher quality player. How times have changed when Man United are offering big contracts to players like Fellaini to fend off interest from China. Mental doesn’t describe it.